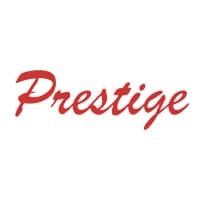 Along with our great deals on new vehicles and used cars, Prestige Chrysler Dodge Jeep Ram also helps drivers of Longmont, CO get competitive automobile financing. Whether you’re searching for a low-rate auto loan or a new car lease, we offer all of that and more. We’ll help you value your trade-in vehicle, estimate your monthly payment, and explore our deals. Looking for an affordable repair store? At our service center, you’ll also find reliable Mopar mechanics, along with a wide range of Mopar parts and accessories. We offer coupons so you can save more on your next oil change, tire rotation, or brake service. Visit our Mopar Express Lane for quick and convenient service near Loveland and Boulder, CO! Get behind the wheel of a Dodge Durango or Jeep Grand Cherokee today. Call Prestige Chrysler Dodge Jeep Ram to schedule a test drive at our Longmont, CO auto dealership. It’s the best way to decide if one of our new or used vehicles is right for you. We also have a wide selection of certified pre-owned vehicles, and cars under 15,000. Get in touch today to experience your favorite models behind the wheel.